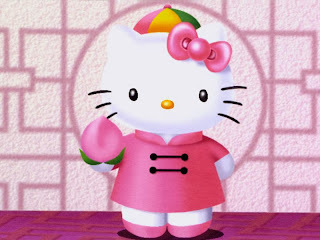 Kitty is a cheerful, warm hearted little character, her favorite activity is baking cookies, and of course her other favorite activity is eating her mom's apple pie. 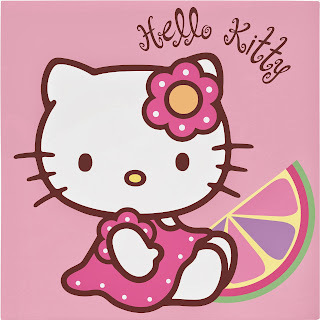 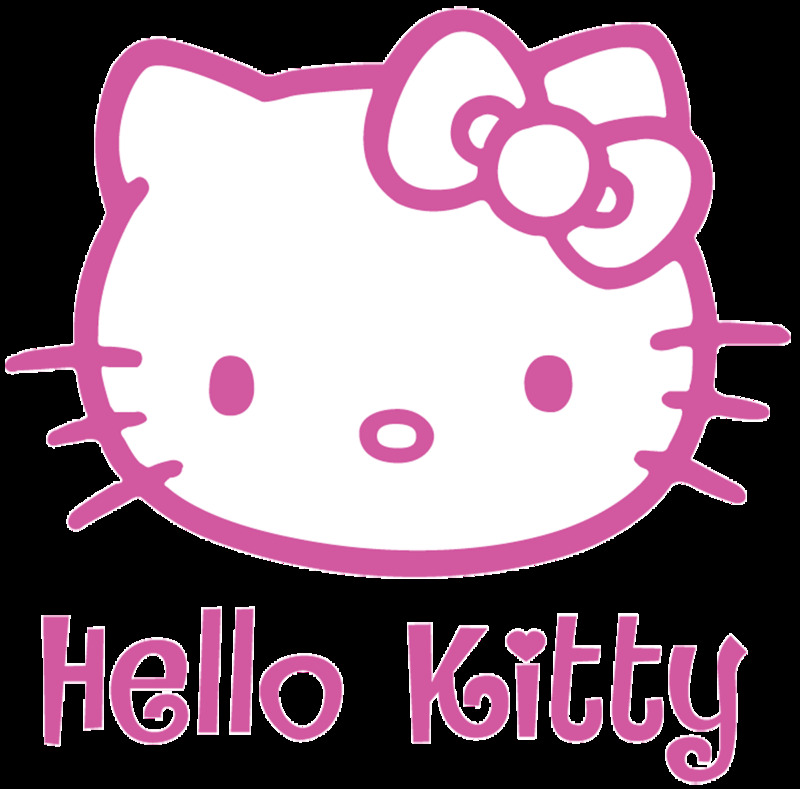 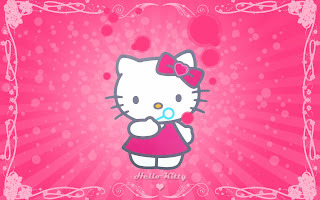 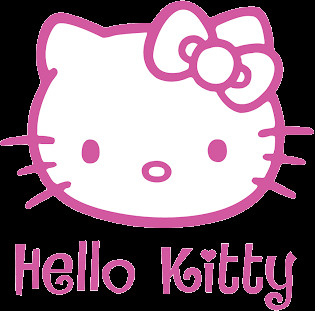 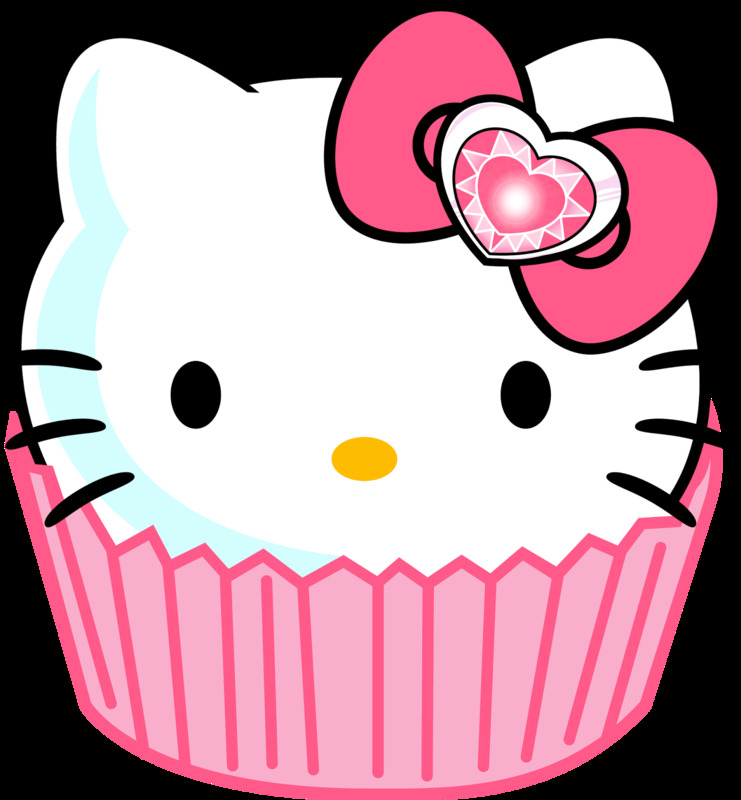 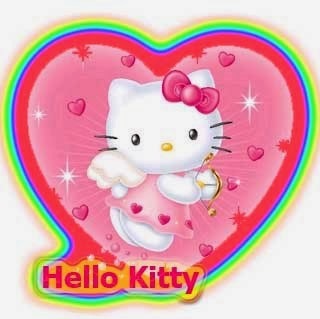 If you like her, below you can find an interesting selection of Hello Kitty Images. 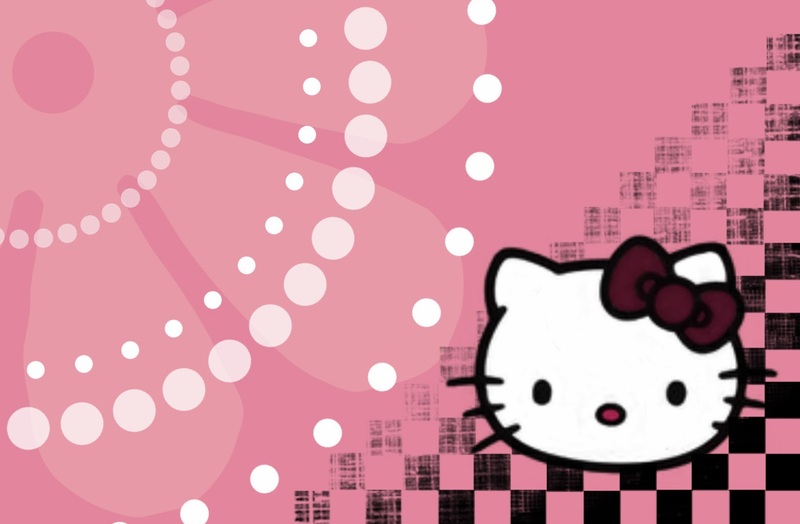 Hello Kitty with a pink background. 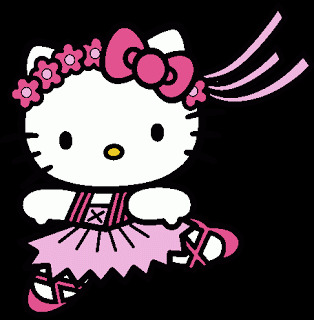 Hello Kitty as a ballet dancer. 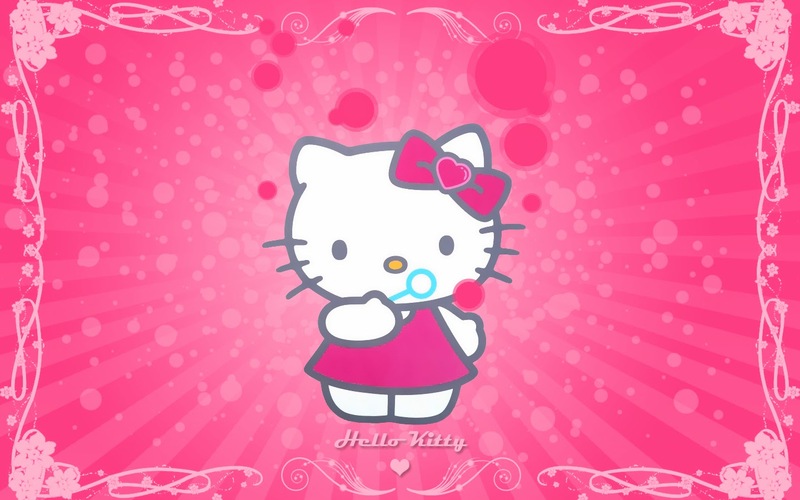 Hello Kitty sitting with a pink dress. 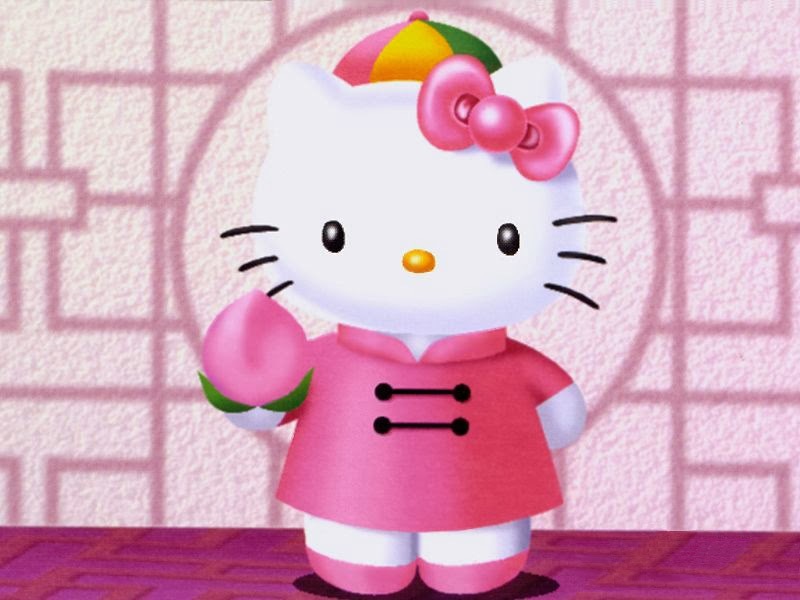 Hello Kitty with an oriental dress. 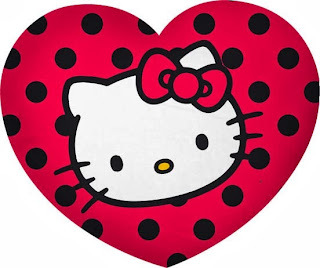 Hello Kitty inside a heart. 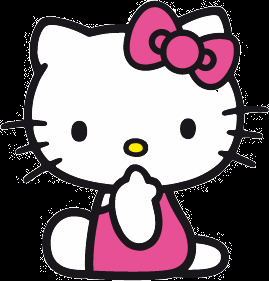 Hello Kitty with the hand on the mouth. 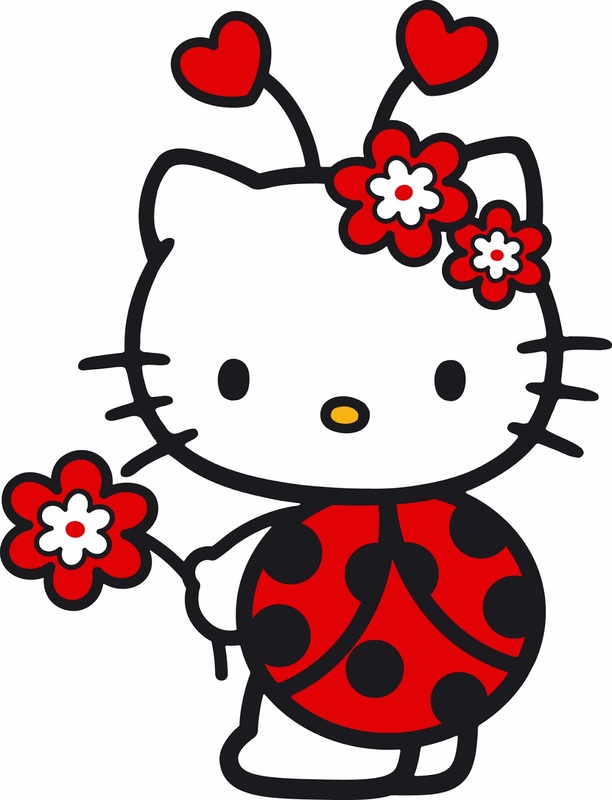 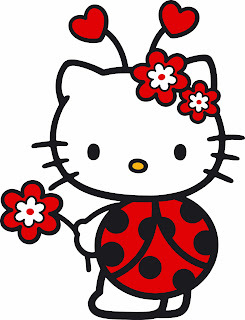 Hello Kitty as a ladybug.